She's got voodoo in her blood, a deck of Shadow Cards in her hands, and a song in her villain-kid heart. When Freddie's dreams of joining the acapella group at Auradon Prep fall apart, she uses her Shadow Cards to get her way... But dark magic always comes with a price. If you loved the Disney Descendants movie this book will allow you to delve deeper into the characters that you know as well as meet new ones too. 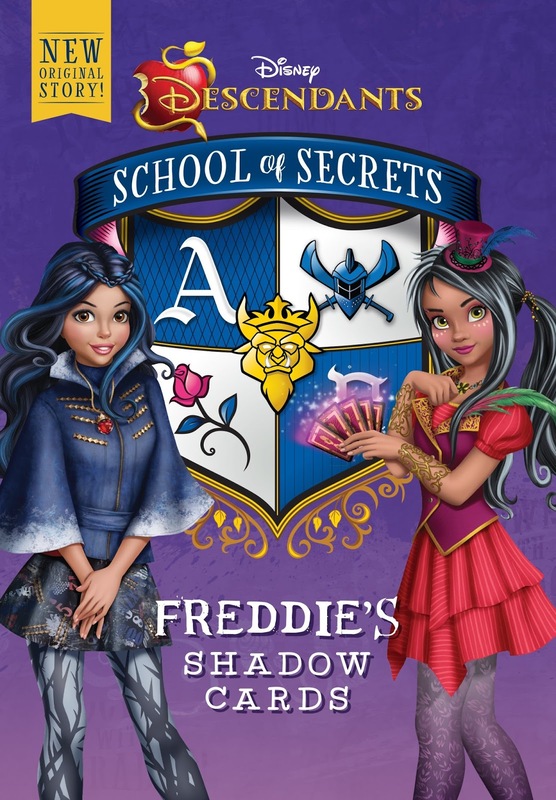 You get to meet the daughter of the Voodoo doctor from Princess and the Frog and get to experience some of the things that happens when she starts to dabble with her dad's shadow cards which of course causes problems. There are twists and turns in this that I was not expecting and we loved getting to know the new and old characters on a deeper level. All-in-all this was a book that was a ton of fun to read and added much to the Disney Descendants universe!